The new fluid sensors from SICK, such as the DOSIC® flow sensor, offer calibration-free measurements no matter which medium they are used in, ensuring a high level of flexibility. Plants do not have to be converted or operated in parallel when the fluid or medium is being changed. The IO-Link digital communication protocol also allows the process data to be integrated into an automation network. The fluid sensor portfolio from SICK is primarily geared toward the requirements of machinery and plant engineering. The current and future requirements include further optimization of plants in terms of flexibility, productivity, and efficiency, as well as automated level measurement and flows for Industry 4.0 concepts. Using of fluid measurement technology mainly for no-load and overload protection is now a thing of the past. 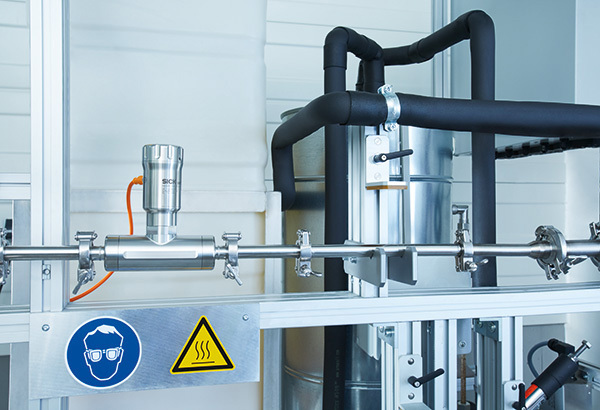 The focus is no longer on preventing the worst-case scenario, but rather on achieving optimal monitoring of relevant process parameters and flexible process control. 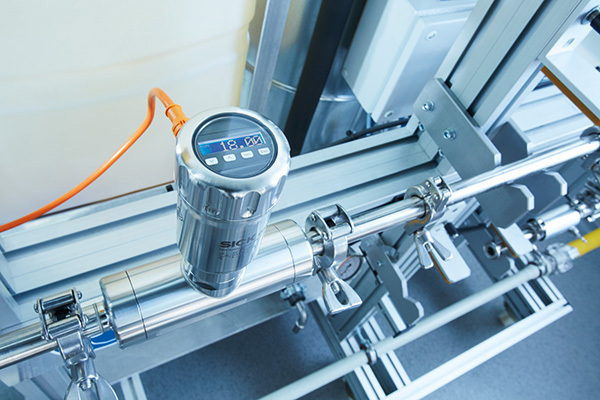 In one sensor, SICK offers complete flow measurement which is flexible for all industries and fluids – even in hygienic conditions. The non-contact DOSIC® flow sensor detects the flow volume of conductive and non-conductive fluids based on ultrasonic technology. With its measurement channel and stainless-steel housing, the ultrasonic flowmeter is suitable for measuring tasks in hygienic conditions. The compact and rugged design offers a wide variety of application possibilities, including those where space restrictions or aggressive media play a role. Installation is quick and easy, and does not require medium calibration. The seal-free, self-draining measuring tube enhances process reliability. Up to two configurable digital and analog outputs as well as the IO-Link interface to the higher-level control unit ensure the right initial situation. The DOSIC® is EHEDG-certified and FDA-compliant. With the DOSIC®, SICK offers flexible flow measurement and high process quality at an outstanding price/performance ratio. The IO-Link digital communication protocol has also gained acceptance in fluid technology. The added features in version 1.1 make it possible to fully comply with the demands of Industry 4.0. The opportunity to use a multitude of data to produce and supply goods in a more efficient and flexible way, while also saving resources and achieving better quality, ultimately depends on the reliability of the data input for the process chain – and, therefore, on the sensors that record real-time situations and convert these into digital signals. Got Liquids? We’ve Got a Solution.